Located in the heart of the Emerald City at the Seattle Center is one of the most colorful and amazing collections of artwork that I have seen in quite a while. 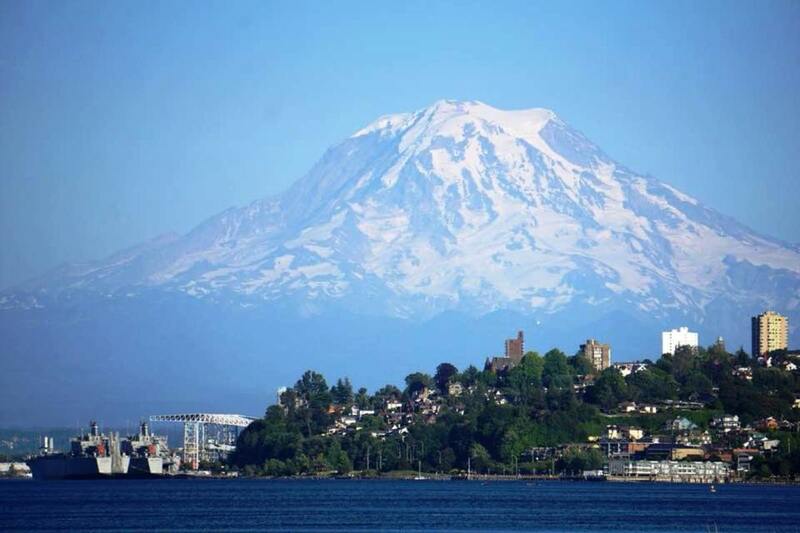 To be honest, I didn’t even know it was there until a recent visit to Seattle when my sister mentioned wanting to visit. 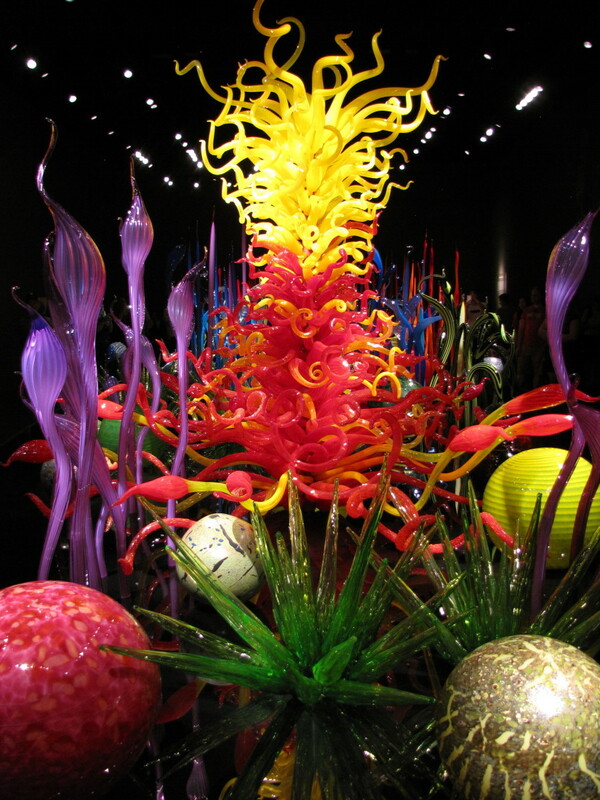 I’m talking about the Chihuly Garden and Glass exhibit. This stunning collection of glass artwork by renowned artist Dale Chihuly sits literally in the shadow of Seattle’s other more famous landmark, the Space Needle. If you have even the slightest bit of interest in glass artwork then make it a point to visit this exhibit. Most of the works by Dale Chihuly are pretty difficult to describe due to their very intricate nature. He has mastered the art of architectural glass, a skill honed over many years of experimentation and taken it to limits never before seen. The sheer quantity of pieces that he has created along with the colorful detailed designs is certainly a testament to his artist vision. 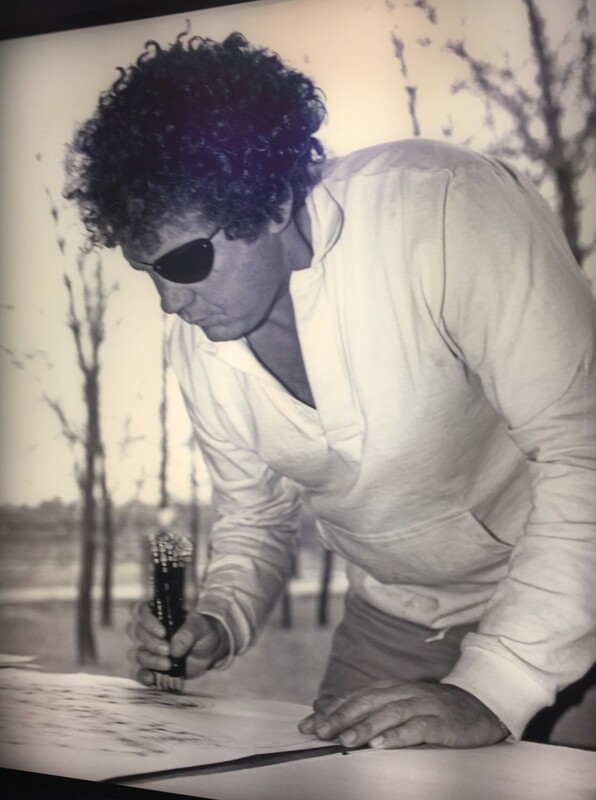 Born and raised in Tacoma, Washington, Chihuly became interested in blowing glass in the early 1960s and after receiving a Master of Fine Arts from the prestigious Rhode Island School of Design in 1968 he headed to the mecca of glass-blowing, Venice and the island of Murano. 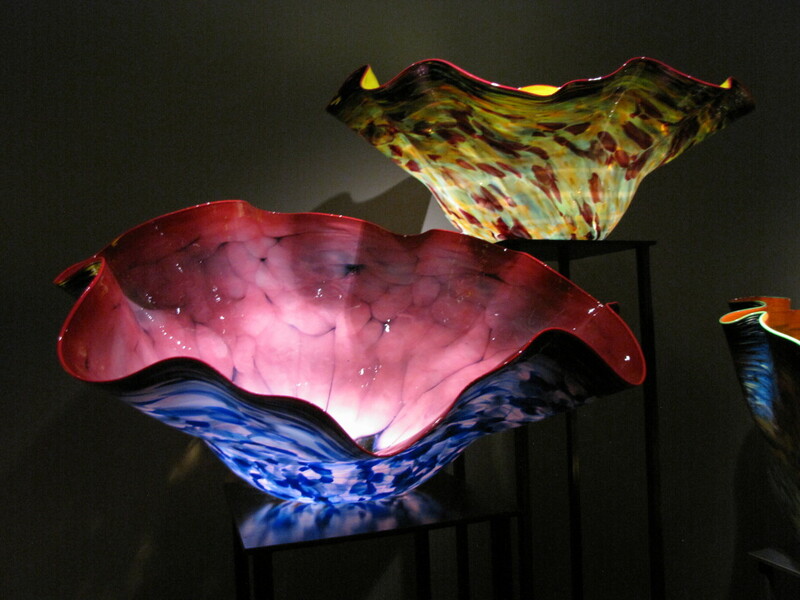 It was here at the famous Venini glass factory that he honed his skills and discovered the team approach to creating glass art. Just one glimpse at some of Chihuly’s sizable works will tell you that more than one individual is required to create these masterpieces. In the early 1970s, Chihuly returned to his roots in the Pacific Northwest and co-founded the Pilchuck Glass School, today an international center for education in the glass arts. The school is located on over fifty acres of beautiful Washington State terrain and hosts over 500 students and artists every summer. Today one can still catch a glimpse of the Chihuly Glass Studios located in a rather nondescript grey Lake Union boat house. 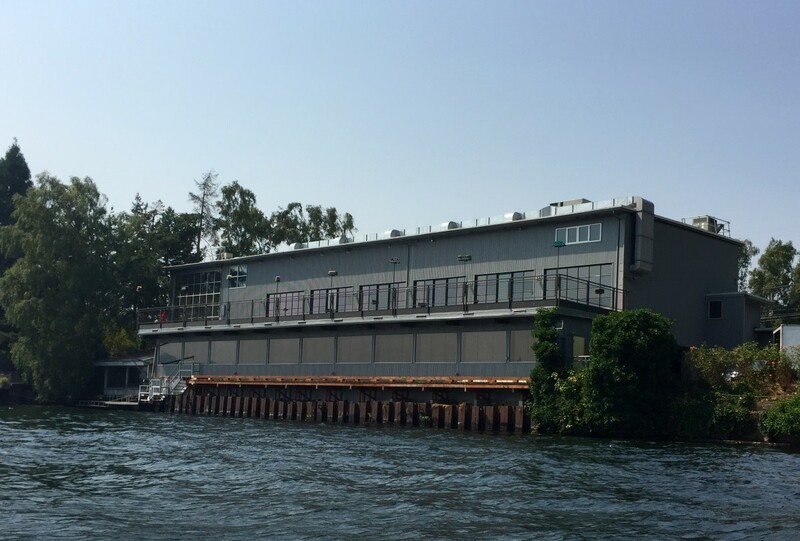 If you ever happen to be on Lake Union it’s worth the time to head over to see the outside of the studio from the water. Even though it’s not open to the public as it’s a working studio you can catch a glimpse of some of the artwork hanging on display inside the building. The studio was actually the former home of Chihuly and they do host a few events and tours for charity every year. The Chihuly Garden and Glass Museum opened in May of 2012 at the Seattle Center. The exhibit contains both indoor and outdoor glass artwork displays and I must say the place is absolutely astounding. 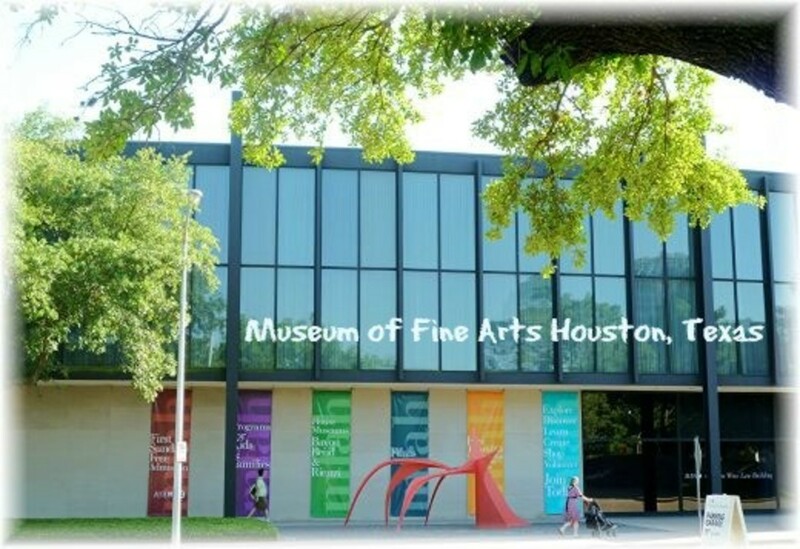 Plan on spending at least a couple of hours to see all of the galleries and the outdoor garden exhibits. The museum also has an interesting bookstore and the Collections Cafe should you wish to grab a bite to eat. Monday to Thursday from 8:30am to 8:30pm. Friday to Sunday from 8:30am to 9:30pm. Visiting before 10am will get you a $10 discount on the ticket price, which is a pretty good deal. 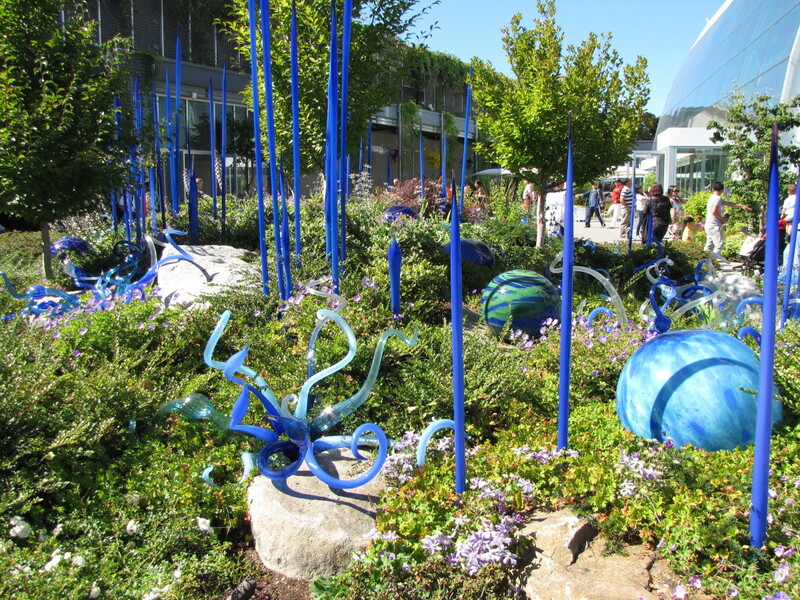 If you are planning on spending the day at the Seattle Center you might consider a combination ticket that includes the Chihuly Museum and the Space Needle. The combo ticket is $49 for adults, reduced to $36 if visiting before 10am. The museum also offers a number of Gallery Talks and Tours, which are held daily at numerous time slots. These are complimentary with your admission ticket so inquire when visiting if you are interested. I never met a color I didn't like. 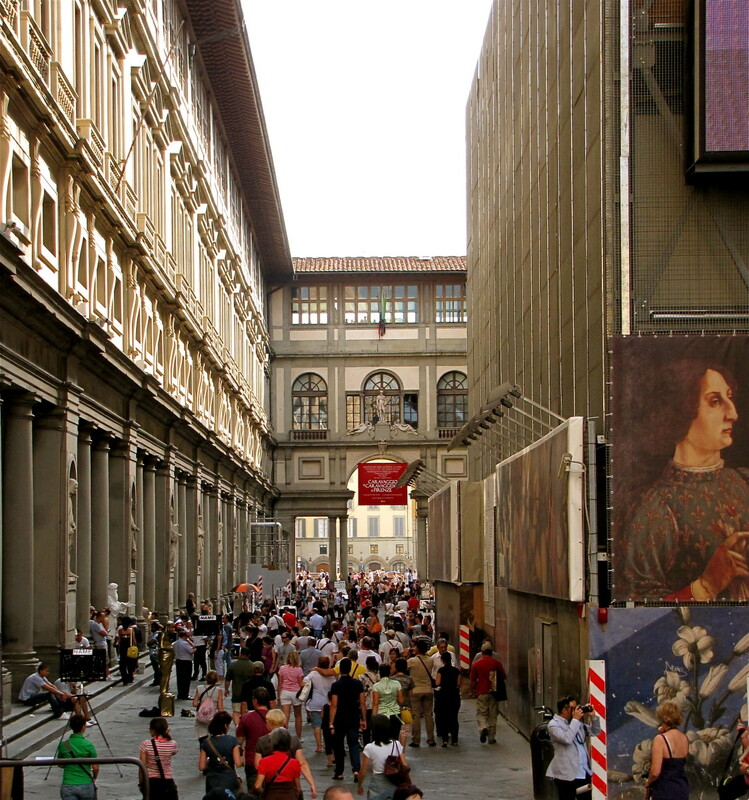 Your tour will take you through eight large galleries that makeup the indoor exhibit, each containing artwork based on a different concept and design. 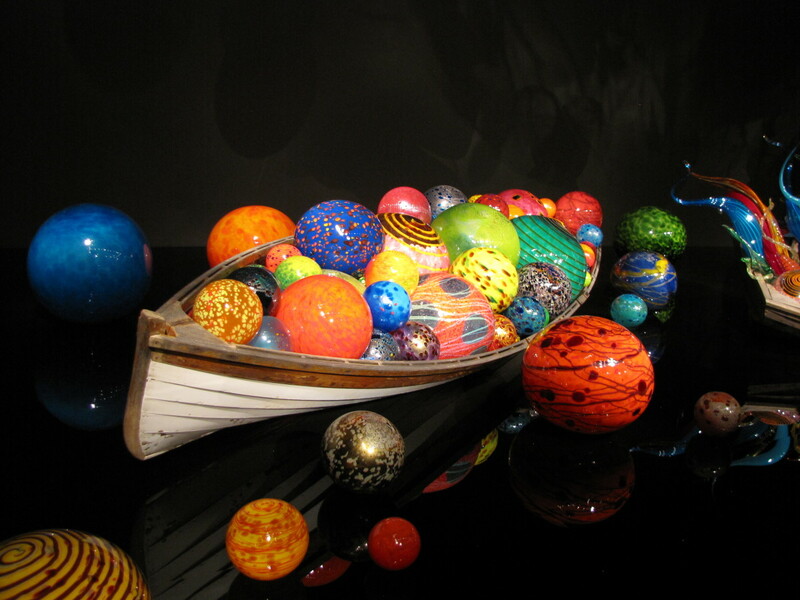 The common theme is the magnificent display of color that Chihuly used in his artwork. Some pieces will leave you wondering how on earth they were created. 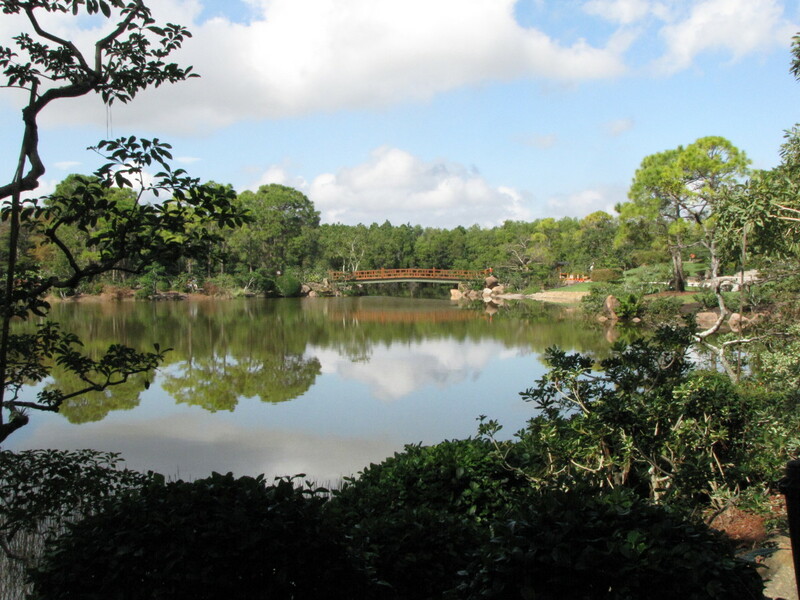 After viewing the indoor exhibits and stopping at the small theater you will pass through the Glass House. This 40 foot tall conservatory contains a 100-foot long work of art suspended from the ceiling. As you gaze upward to admire the yellow, orange and red flowering sculpture you can’t help but notice the Space Needle staring down at you. As amazing as this sculpture was during the day I would love to return in the future to see the Glass House lite up at night, it must be quite a sight. As you exit the Glass House you enter the expansive outdoor Garden. Here you will find the perfect combination of nature and artwork blended together in a symphony of color. You may find yourself questioning whether that funny looking flower is some new exotic species or an intricate piece of artwork? This place is truly amazing and extremely photogenic so be sure to bring your camera as photos are allowed in all of the exhibit rooms. I can’t understand it when people say they don’t like a particular color. . . . How on earth can you not like a color? After visiting the Chihuly Garden and Glass exhibit I must say that I have a newfound appreciation for this timeless craft. With his artwork located in museums, hotels, banks, universities and countless other public venues around the world I am certain to come across more of his work in the future and I look forward to seeing other exhibits of his artwork. Having not been familiar with Dale Chihuly and his work I can confidently say that this was one of the more pleasant surprises from our visit to the Emerald City. 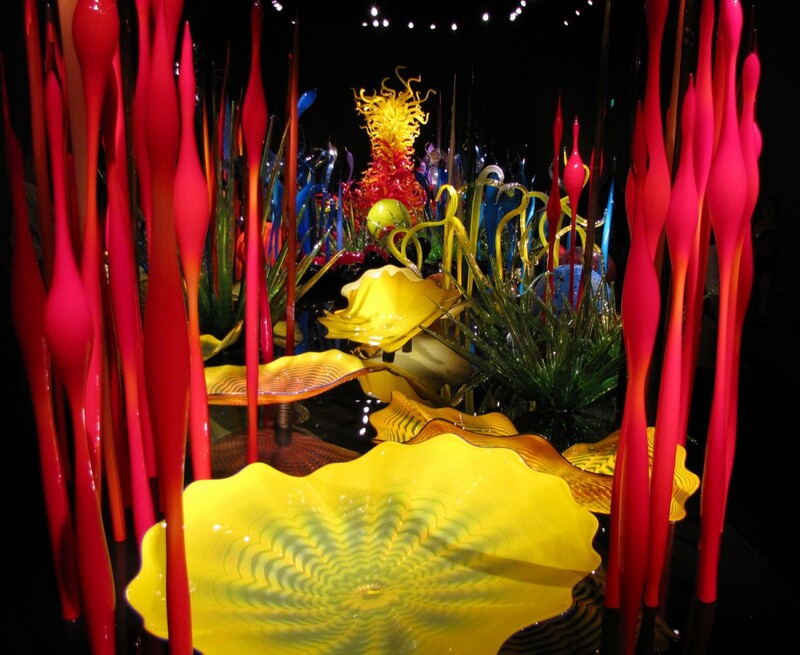 If you are planning a trip to the Seattle area be sure to include a visit to the Chihuly Garden and Glass exhibit, you will not be disappointed. How close is parking to the Chihuly Garden and Glass Museum? Parking can be an issue around the Seattle Center. If you are coming from the downtown area your best bet is to take the monorail. If not there area couple of parking garages around the Seattle Center including the Mercer Garage and the First Ave and Fifth Ave Garages. There is also valet parking at the base of the Space Needle. Good luck, the Chihuly Garden and Glass Nuseim is incredible and a must see. Thank you Flourish. It's definitely worth visiting. The color and intricate design of many of his pieces are amazing. If you do get out there someday add it to your list, very much worth the cost and effort. Thanks again, have a great weekend. Simply stunning. My husband returned recently from a trip to Seattle and sorry to say he missed this. It's a good excuse to go back! Great article! Thanks for asking Bill. Bit lonely at times being at home alone, but I've got plenty of interests, so I don't get bored! And in the not too distant future, I'll probably be off to Thailand again to visit my girlfriend. Hi Alun. Well done. Your instincts were spot on. As we were going through the museum I was thinking the exact same thing about how much some of his pieces reminded me of Murano. It was a very interesting place to visit and I will certainly be on the lookout for his work in other museums and venues. On a different topic how is retirement treating you? Hope you are enjoying it and staying busy. Before reading Bill, I scrolled down through the photos and thought how reminiscent some of the sculptures are of the street art in Murano, which I know you have also visited. 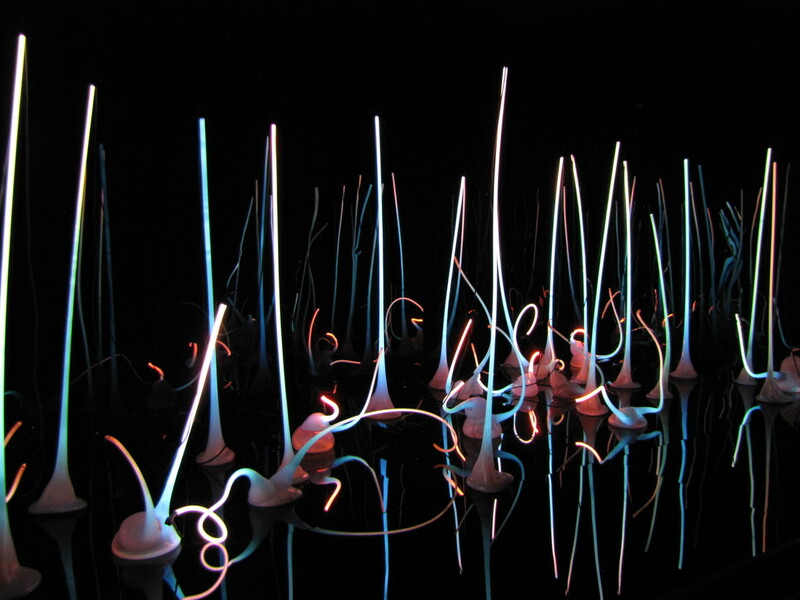 It was no surprise therefore to find whilst reading, that the glass sculptor Dale Chihuly had worked there at one time! Looks like a very interesting place to visit, and -as you say - I'm sure the photo opportunities are almost limitless. I doubt I'll ever visit Seattle, but thanks for showing this unusual and colourful exhibit. Hi Linda. Thank you. 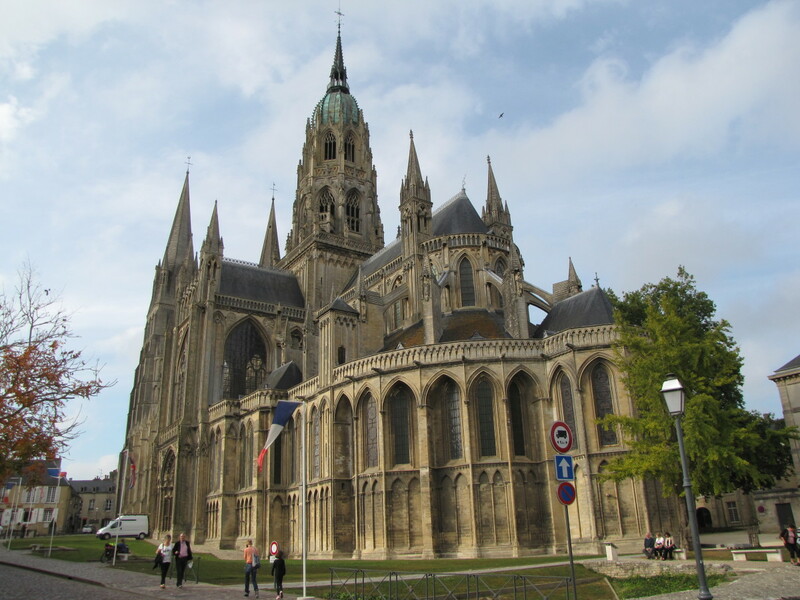 It really is an amazing place, definitely worth the effort to visit. The color and detail of his work is just a beautiful thing to see. Thanks for stopping by, have a great week. The sculptures are beautiful. I especially like the flowers in the Glass House. I'm looking forward to visiting the museum and the garden one day now that I've seen your lovely photos. Thank you Kristen. It's an amazing place, so colorful. The funny thing is I didn't even know it was there so this was a very pleasant surprise. Bill, that does sound like a fun trip to go to that museum. Great photos and good insight on this artist in this hub. Thanks Susie. We really enjoyed Seattle and especially the Chihuly exhibit. Tried to hookup with Bill H while out there but things just didn't work out. Maybe next time. Hope all is well with you in your new place. Looks like you and Mic have been working hard to get the place in shape. Looks great. What a stunning exhibit and definitely worthy of a visit when in Seattle. Your photos are amazing, such color and design quite stunning work and would love to see someday. Thanks Bill for another wonderful article, you always keep me wanting more! Thank you Peggy. It's a very photogenic place that's for sure. 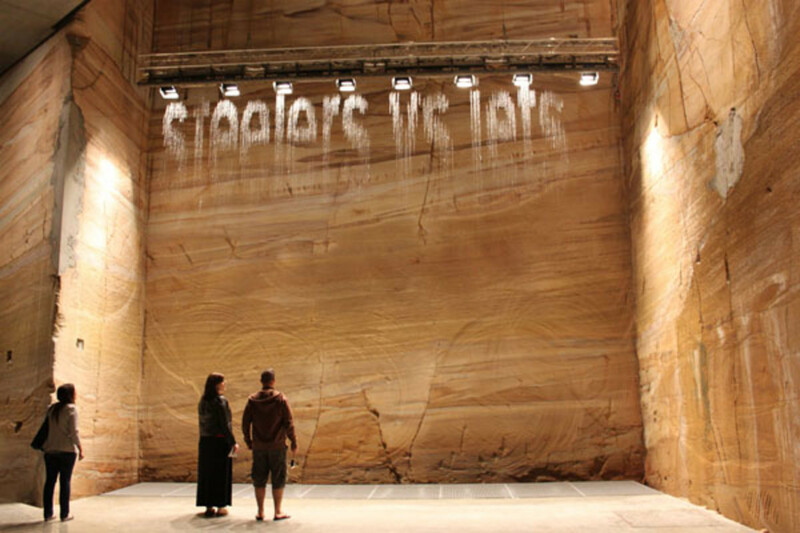 We really enjoyed our visit and hope to come across some of his work in other venues. Have a great day. 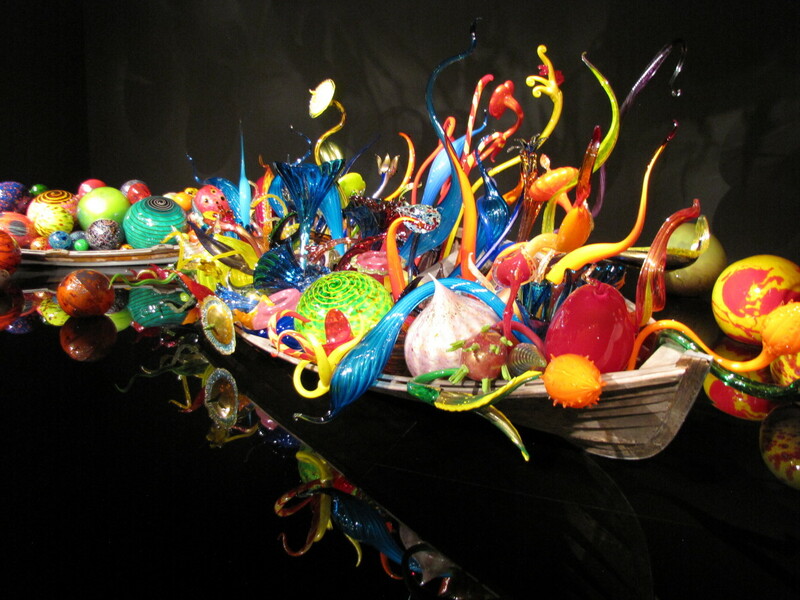 I love Dave Chihuly glass art and have seen a few pieces elsewhere. 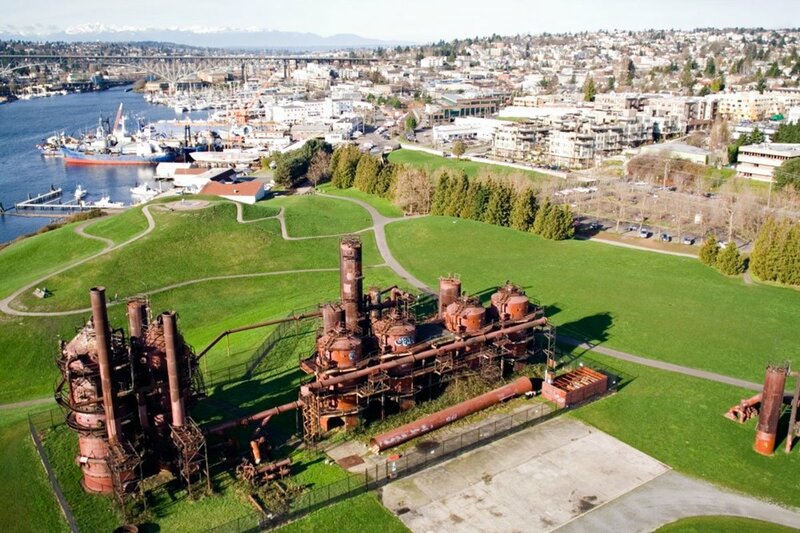 It would be wonderful to be able to visit this site in Seattle. 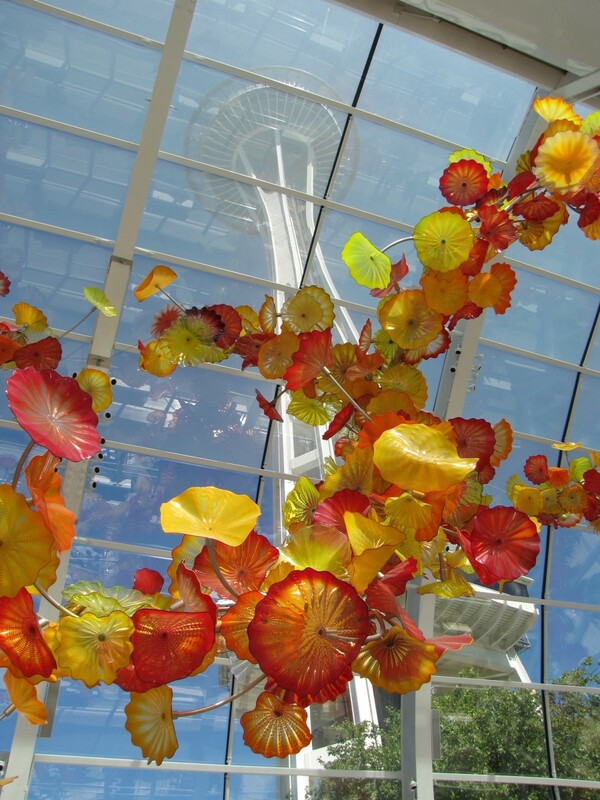 Your photo of his glass art looking up at the space needle is terrific! Great article Bill! It truly is a great museum, as well! The pictures are amazing, yet some how, they don't do the art work justice... you must see it in person to truly get the ambience and greatness of his amazing work! I loved it!!! Hi Bill. I'm so glad my sister wanted to go otherwise we may have missed this. I found it almost mesmerizing. So colorful and the detail of some of his work, just amazing. Hope all is well, enjoy the rest of the weekend. Oddly, Bill, I didn't know he was born and raised in Tacoma, my hometown. Great article. 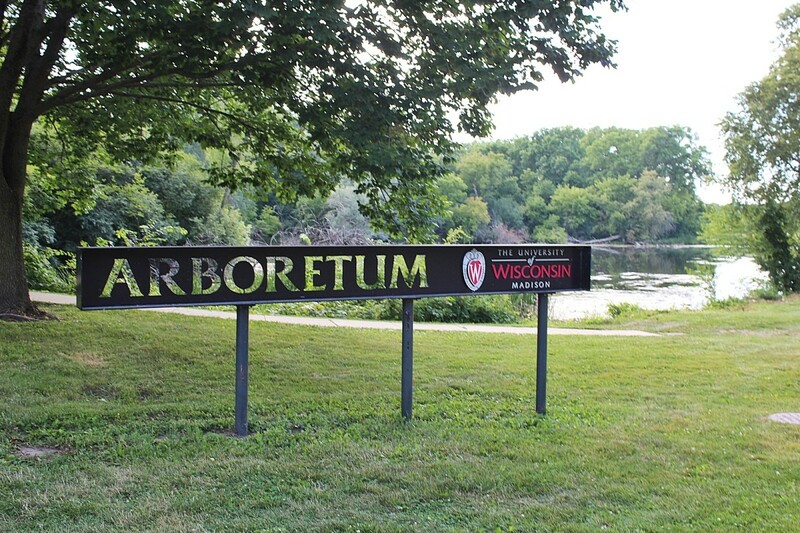 Obviously I've seen his work often, but I never grow tired of it, and it is a must-see if you visit our neck of the woods. Thank you Heidi. That was my reaction, OMG. What an amazing place, definitely worth visiting if and when you are in the Seattle area. Thanks again, have a great day. OMG! This place looks like a fantasy land. If I'm heading to WA, would definitely put this on my to-visit list. Thanks for pointing this out and sharing your amazing photos, as always. Cheers! Thank you Louise. It was very interesting. If you ever get to Seattle add it to your list of places to visit. That looks a really interesting museum to visit. I'd love to go there.